Once a relatively rare site, spotting an officer riding a bike through a crowded urban setting getting more and more common. And while you may not think about it, this is because they can be a very valuable asset to their department and the public they serve. One of the most obvious areas that they help is in their environmental impact and cost to operate. A car that requires gas and maintenance while contributing the air pollution is a necessary evil that bikes have helped cut back on the need for. However, besides these benefits, a bike can actually be a better choice in some environments. Places like college campuses and urban settings often have a lot of foot traffic and closely packed buildings, making it tough for a car to navigate and respond. In fact, Officer Scott Bixby (who I spoke with for this post) told me about how he was able to respond to an alarm 90 seconds before a car showed up because of how he was able to ride straight to it rather than have to take the roads and deal with traffic. Something else that being on a bike provides is the ability to see, hear and smell things that you would miss from a patrol car. A bike also provides a stealth element that allows officers to “blend in” to their surroundings in a way a car never could. This connection with their surroundings also allows them to connect better with the people around them. 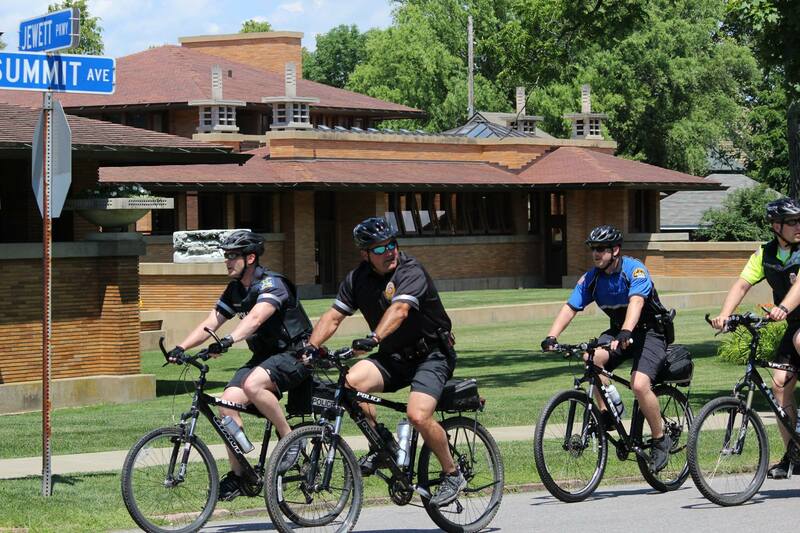 An officer on a bike is usually less intimidating than one in a patrol car, which makes it easier for people to approach them and lets them become more a part of the community. However, these advantages come with a few trade offs. First, officers are more exposed to danger than they would be in a car. Responding to a situation that might have a gun or someone behind the wheel of a vehicle requires a different type of awareness when you are on a bike. Second, you have to learn how to navigate a bike with 30+ pounds of gear and body armor on. This extra gear also means that you will have to deal with a higher heart rate when you arrive on a call, requiring training to deal with this as well. This is why officers have to go through a certification course before being able to become a bike cop. While it varies from state to state, Officer Bixby said that in New York it is a 40 hour course that ends with a live action drill where officers have to race to a spot, dismount and fire their weapons…which is shockingly tough to do for a lot of them. One of organizations that helps support our officers on bikes is the International Police Mountain Bike Association. 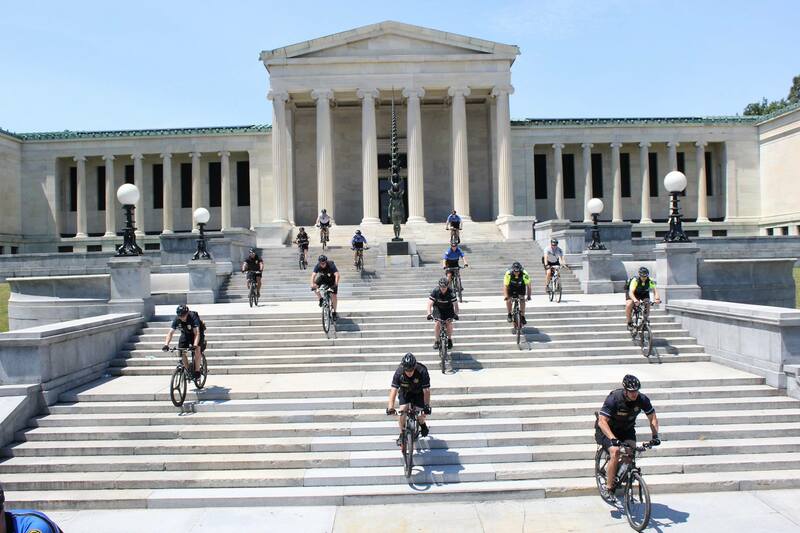 Founded in 1992, the IPMBA has become the premier organization for training and supporting Public Safety Cyclists. 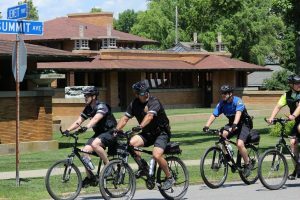 Among the resources they provide are position papers (including one on why they advocate the use of flat pedals for officers on bikes) and discounts on products they need through their Corporate Partnership Program. Which is something we are proud to announce that Pedaling Innovations is now a part of. We know that the Catalyst Pedal can provide a unique level of performance and comfort that will be especially beneficial for Public Safety Cyclists and we’re excited to be able to offer a discount to them through this program. So, if you are a Public Safety Cyclist then be sure to check out the Catalyst Pedals next time you need a new set of pedals or just want to upgrade to a higher performance flat pedal. We’ve had several officers contact us telling us how much they love them for the power and comfort they provide and we’re excited to get more officers on them. I’d also like to encourage you to think about supporting the IPMBA in some way. Whether it is through a donation or setting up a Corporate Partnership between them and your company, looking out for the people who look out for us is always a good way to keep the karma wheel turning in your direction…plus they fight crime on a bike, which is pretty cool. Oh, and next time you see an officer on a bike say hi and tell them thanks. They are serving a valuable role while also exposing themselves to some unique dangers and showing a little appreciation can make a tough job a little easier.